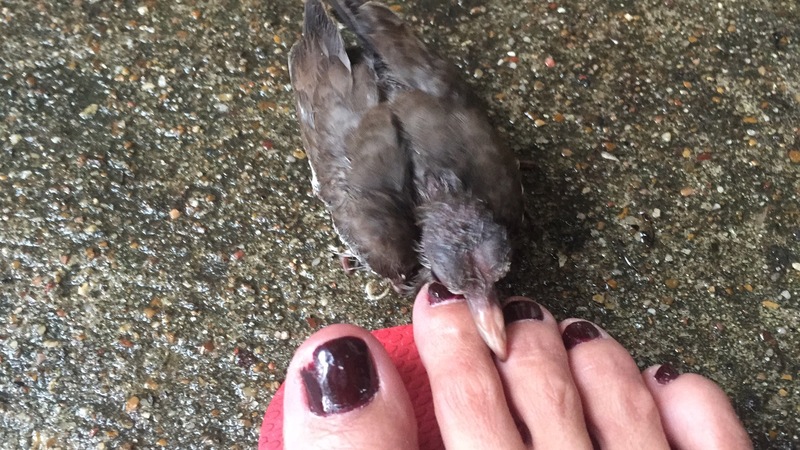 So, here I am, doing what we do on a weekend morning when this baby-dove bird fell off the nest. It happens a lot, I know, but this one decided to fall right at the patio’s door, asking for help. I must say that my first instinct was to grab the camera and take the shot, but I soon realized that I was about to embark on a mission. For those who don’t know me well, I have an elderly micro-toy poodle, wobbly on the legs, blind and deaf. Sometimes I have to feed him on the mouth and at the moment he is wearing geriatric dippers as this saves me a lot of cleaning. I just wish that, when I get old someone will take care of me too. Now, I had a bird in the hand. The saying goes that this is better than a thousand sparrows flying, but I don’t know. 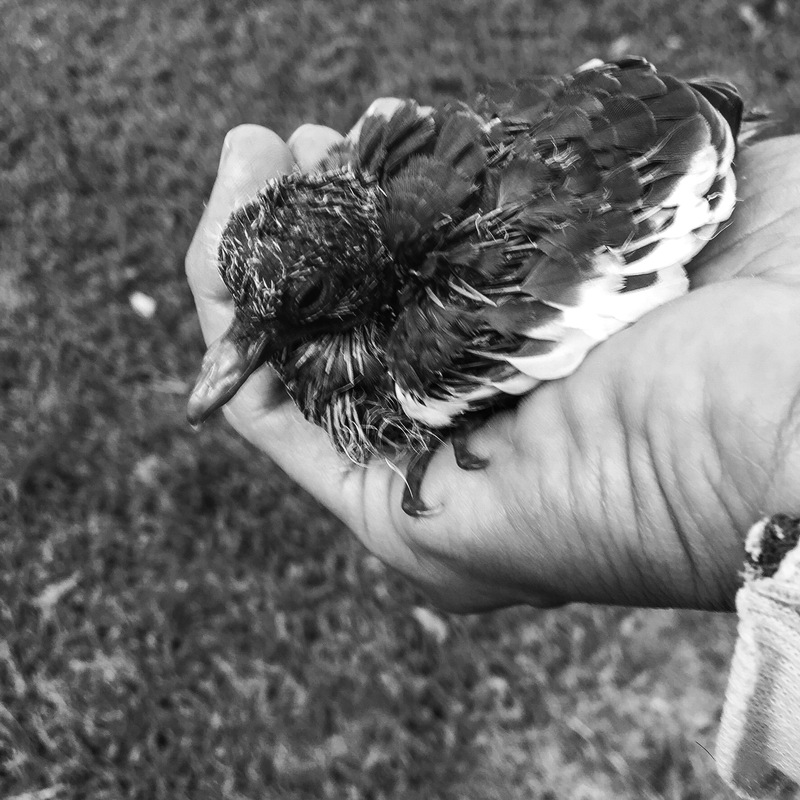 I’ve always believed that birds should be free to fly around, but this little creature didn’t even know he had wings. As it happens, I do eat like a bird, and I had some seeds in the pantry, which I shoved down his throat as he opened this big beak. Mike wanted to name the bird and I said ‘no, we get attached and I want him to learn how to fly’. At the Petshop I found this seed mixture super extra-strength, which looked fine but I could see the bird’s eyes dilating, his voice altering as he ate and stretched the wings, feeling the power. I had some hallucinations that suddenly, he would become this teenage mutant ninja turtle, enslaving us in our own house, while trying out his plans to dominate the world. A week and various physiotherapy sections later, we had our last breakfast together. I noticed that his voice had changed and he was a little aggressive. I let him out in the yard and went about my business, and that was it, when I came back to check on him, he was gone. I believe he flew away as it happens with birds. The empty nest syndrome wanted to creep in, but I decided not to let myself fall for that: life goes on, we move on, and we are worth more than many sparrows. All I have now are pictures. I do miss him, though.